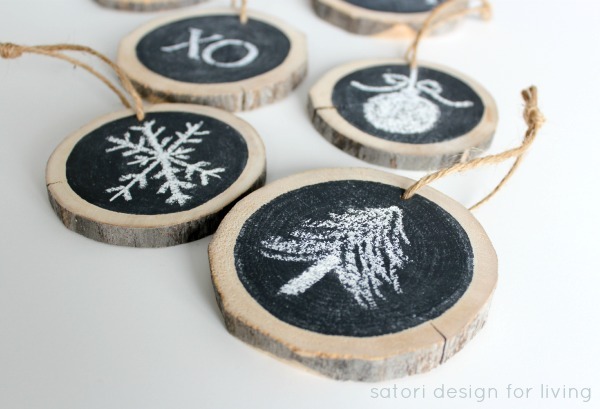 I’m looking for new and cool ideas for Christmas ornaments. There’s certainly no shortage, thanks to these wonderful bloggers hard at work! Thanks guys! Time to get out the junk and make a few! Carlene is a master at creating upcycled ornaments. The bonus with this one? This adorable biscuit cutter snowman ornament is left perfectly intact so you can use them for another project later. LOVE that! Shauna braved a sleet storm to gather up logs by the river, in order to bring this lovely nature inspired project to life. Love that this one could be used year around too due to the ever changing chalkboard messages. So cool! 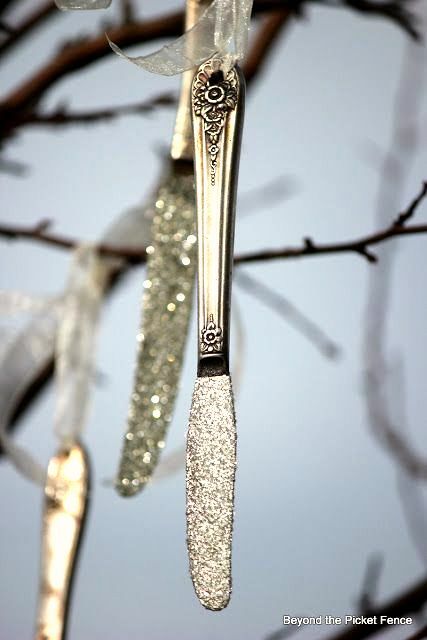 Leave it to Becky to make a vintage knife even more glamorous! Glitter and glue is all you need. NEED indeed! 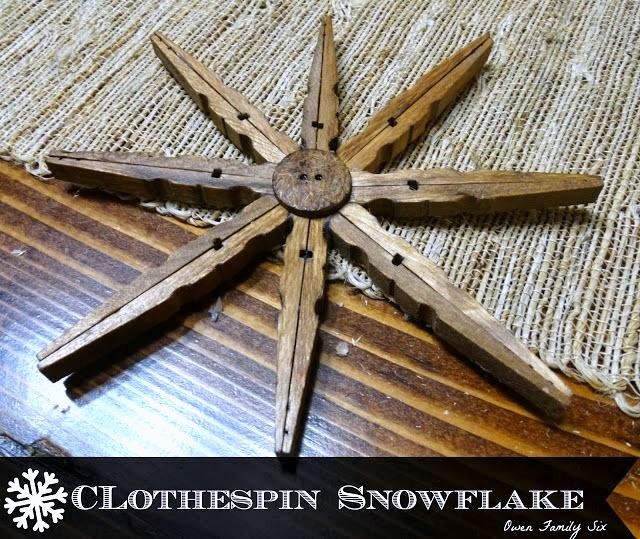 Inspired by Under the Table and Dreaming’s clothespin snowflakes, Jennifer created a gorgeous replica. Wow! Fabulous tutorial attached. 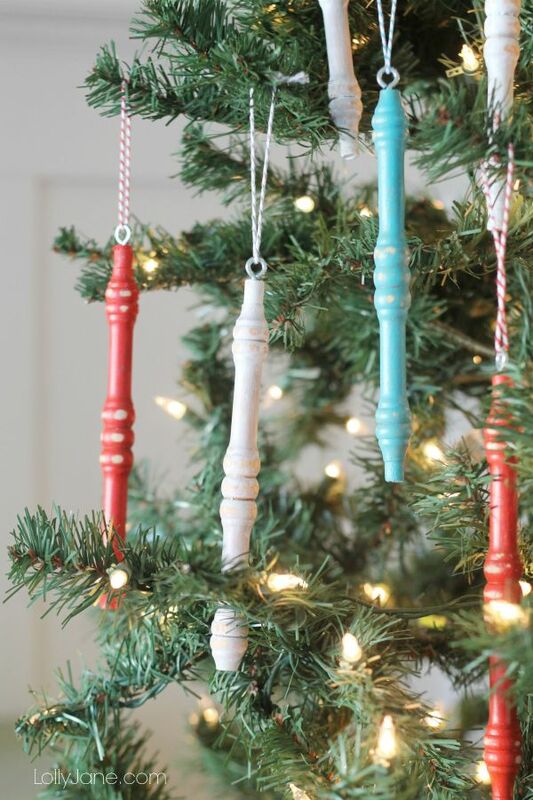 Kristi and Kelli break tradition from the gitter and glitz, and utilize an old chair instead, to create these lovely spindle ornaments! Aren’t they the coolest? 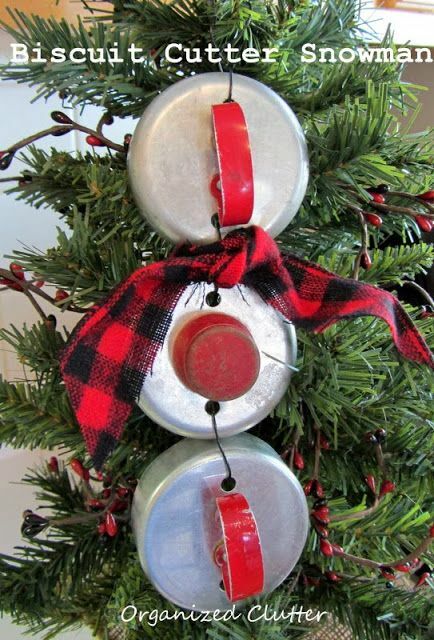 Have you created any Christmas junk ornaments? Thanks for letting me link up my statement chairs today and also for hosting each week. 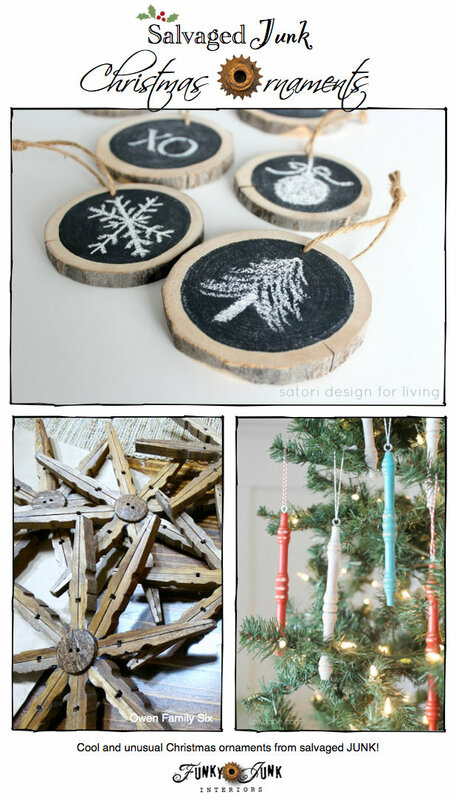 I am working on some ornaments I’ve made and hope to have a post up later today that I can share with your Salvaged Junk linkup. Thanks Donna for the junk inspiration(s). Great ideas. Thanks for Party Junk, LOVE joining in. Thanks so much for hosting Donna! Love all the featured ornaments! Thanks for hosting Donna! Love the ornament inspiration!! Thanks Donna for featuring my biscuit cutter ornament! Thanks for hosting, Donna. Great ornaments you have featured. I’m going to enjoy a hot chocolate and check out the links tonight. Wishing you a great weekend. Thank you for featuring my snowflakes! LOVE all the junk ornaments! Thank you for hosting! Came by to share some of my own funky junk. Thanks for the party, love the junk ornament theme! !